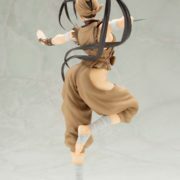 First appearing in Street Fighter III, the beautiful ninja Ibuki joins the Street Fighter bishoujo statue collection from Kotobukiya. With a smile on her face Ibuki is ready for battle. 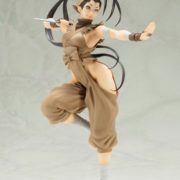 Her ninja wear is a loose fit, which is designed for maximum movement. Her shirt, which has no sleeves and her roomy pants come together at her waist. Her hair erupts from her tight headdress, possibly distracting her foe from the knife she wields in her hand. 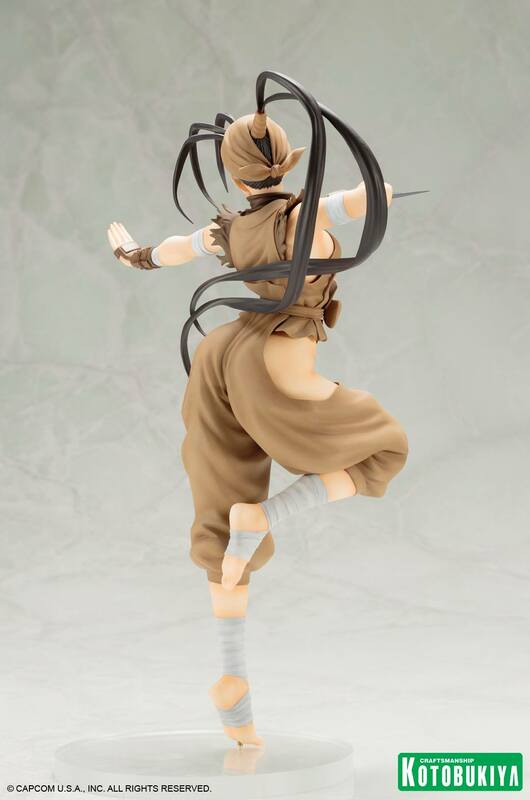 Ibuki holds her balance on one foot, demonstrating her skill and prowess. 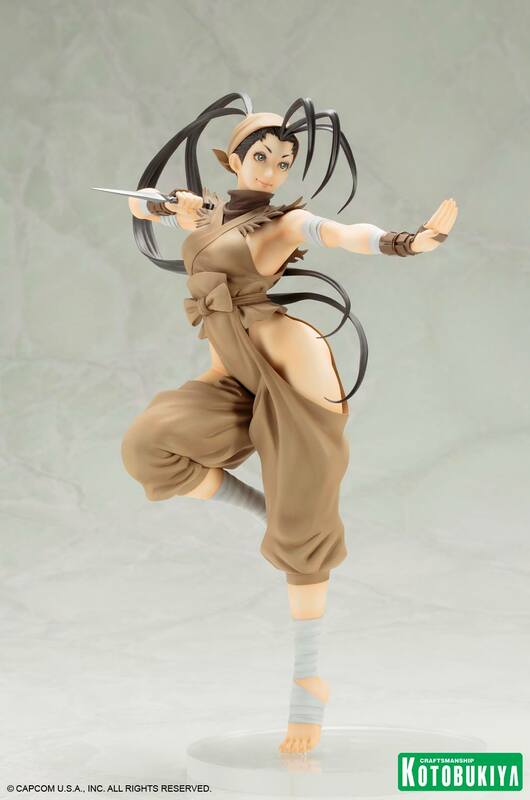 Designed by Shunya Yamashita and sculpted by Hogarii (Jetstream), this figurine stands just over 9 1/2 inches tall on a clear base. New in window box packaging.